The bad news for the Xbox One’s graphical capabilities just keeps on coming this week. Just one day after Konami announced that Metal Gear Solid: Ground Zeroes will run at 1080p on the PS4 and 720p on the Xbox One, Square Enix has confirmed to Eurogamer that the upcoming reboot of Thiefruns at a native resolution of 1080p on the PS4 and 900p on the Xbox One. Both versions reportedly run at 30fps. “You really need good eyes to see the difference,” Cantin told the site, adding that the Xbox One game “is as good as the PS4 version.” He went on to say that the resolution difference was interesting more as an engineering issue than a gameplay issue, and he noted that both the PS4 and Xbox One are vast improvements over the editions on older systems. Whether or not Thief looks noticeably worse in practice on the Xbox One, the steady stream of Xbox One games that look worse on paper than their PS4 counterparts is not what Microsoft needs in order to set its system apart from the competition. 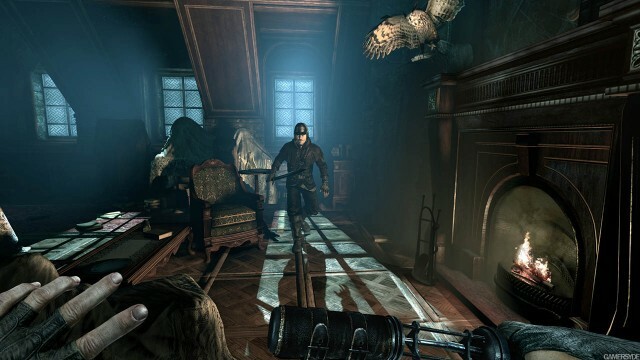 The 17-minute video shows Garrett, the main character, trying to get back to his clocktower hideout. “After a heist gone wrong, Garrett is trying to make his way back to his hideout in the clocktower. Along the way, he happens upon a jewelry store. Garrett being who he is, you can imagine what happens next,” a description for the game reads on YouTube. The game, being developed by Eidos Montreal, will be released on PlayStation 3, PlayStation 4, Xbox 360, Xbox One and WindowsPC on Feb. 25 in the U.S., and it will be released on Feb. 28 worldwide. If you stop thinking for a moment then Sims 4 is a great idea. A real time simulator for the human psyche and the interpersonal relationships that are formed over a lifetime, all condensed into a few hours experience. Get thrilled because after five minutes it turns into a real-time DLC shopping mall simulator that teaches us and our children that if you do not buy everything you see on TV, it means that you are not a full member of the society. But this is not our problem, as today we are going to talk only about the future title of the series, The Sims 4. Sims 4 release date will be next year but this doesn’t mean you should pack your old PC and send it to the basement. If you are worried about the system requirements of the game, you should know that Sims 4 will not require some sci-fi computer on order to run smoothly. Instead, Maxis developers reassured us that the old computers that were able to run Sims 3 will be able to run Sims 4 also. As you can see, the minimum system requirements are as low as possible for a 2014 game: Pentium IV 2.0 GHz or Athlon XP 2000+ processor, 1GB of RAM memory and a 128MB RAM GPU. According to the press release provided by Electronic Arts, The Sims 4 will be released in October 2014 and will include two versions, one for PC and one for Mac. If you want to also receive The Sims 4 Limited Edition package, you can pre-order Sims 4 on the official site. Both the Xbox One and the PlayStation 4 will be using a CPU with same architecture. That CPU is an 8-core AMD “Jaguar” processor, though Microsoft has been saying that its CPUT is semi-custom to try and differentiate itself. That doesn’t change the fact that both core’s CPU frequency begins at 1.6GHz. In early September Microsoft made claim that they’d boosted the Xbox One’s speed up to 1.75GHz, right before the console went into mass production. Sony, on the otherhand, was discovered to have made an FCC filing claiming a surprising 2.75GHz CPU frequency. In Microsoft’s case they claim they just straight up have 10% more CPU. Microsoft’s Albert Penello says: “We have at least 10% more CPU. Not only a faster processor, but a better audio chip also offloading CPU cycles.” It’s assumed the Xbox One’s CPU has simply been upclocked. As for Sony’s claims, the 2.75GHz is likely a theoretical max speed using AMD’s Turbo Core technology and is unlikely to be its standard running power. Since Microsoft also has access to Turbo Core, it’s safer to assume that the PS4is still sitting at 1.6 GHz as opposed to Microsoft’s upclocked 1.75GHz. Microsoft’s Xbox One GPU starts at 800Mhz, 12 compute units with 768 shaders, but later bumped themselves up to 853Mhz and brings the console to a throughput of around 1.31 teraFLOPS. Sony’s PlayStation 4 is a straight on upgrade, starting at 800Mhz (same architecture as Xbox One), but with 18 compute units and a total of 1152 shaders. Even without the boost that Microsoft has added to its GPU we’re talking 1.84 teraFLOPs or around a 40% advantage. Even with Goossen’s said hidden advantages the Microsoft GPU is unlikely to catch up to the PlayStation 4’s initial power, though with time developers can become acclimated and tighten the divide. It really does come down to those numbers: 1.31 teraFLOPs for the Xbox One and 1.84 teraFLOPS for the PlayStation 4. Ah, memory! Now here’s a place where things get simple, right? It’s just a stick or two and a couple numbers. Simple math comparison! Nope! If only! It’s as if Microsoft and Sony complicated matters just so we couldn’t compare the two machines face-to-face, which is what we’re going to do anyway. Both platforms used 8GB of memory, which is as much because developers wanted it as consumers expected it. Both memory’s bus is sitting at 256-bits. Bandwidth. Okay, let’s get neck-deep. 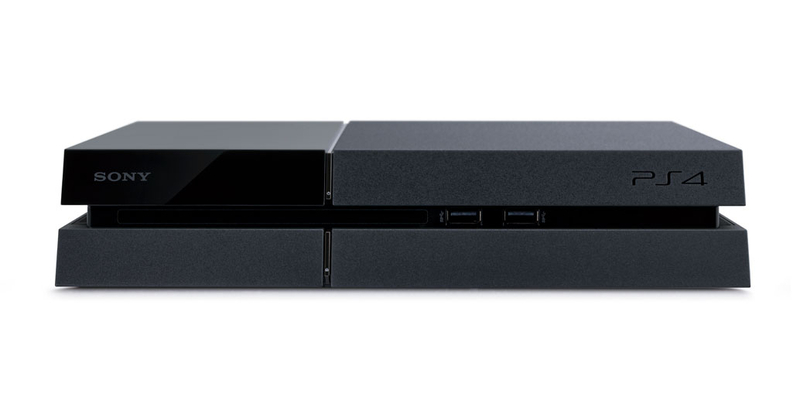 Sony is simple, with their PlayStation 4’s memory bandwidth calculating out to 176.0 GB/s. Microsoft’s Xbox One? 63.0 GB/s! Huge difference, right? It doesn’t end there though, because… the eSRAM! One final thing that needs to be mentioned is how much of each platform’s memory will be reserved for the Operating System. Microsoft’s Xbox One reserves 3GB of DDR3 RAM for the OS, while the PlayStation 4 can range between 2.5-3.5GB. Theoretically this shouldn’t impact game performance significantly, but time will tell. Here’s the area of the comparison where we list several hardware areas that are easy for one party or the other and say how inferior it is, but how it works out in reality is yet to be seen. Both Xbox One and the PlayStation 4 come with a 500GB hard drive. Even footing here. Neither platform will support external hard-drives at launch, but the Xbox One plans to allow it via USB 3.0 eventually. Eventually. Sony has announced no plans to allow external hard drives. Neither platform comes out ahead in the storage war. Sony’s lack of external hard drive support is disappointing, but until Microsoft implements it in the Xbox One they’re no better. The ability to replace the PS4’s hard-drive is nice, but not efficient. It’s more of worst case scenario option as opposed to anything most console buyers will take advantage of. Both the Xbox One and the PlayStation 4 have their own dedicated audio blocks. While this might not seem like a very big deal to the common gamer, in technology terms it could mean a great deal. The Xbox One features technology capable of 512 audio stream, while the PlayStation 4 can only maintain ~200. That could mean that more of the audio burden falls onto the PS4’s CPU, which is already weaker than the Xbox One’s, but perhaps it will never come to that point in the first place. Odds are very few will notice even if it does become an issue. Heating, Sound, Aesthetic Appeal, etc. Basically, this is the area for all of the things hardware-wise that we simply won’t know about until launch and beyond. Certainly, both console’s are said to deal better with heat, run much quieter, and from quick impressions look gorgeous. Until those things are in entertainment centers around the world we just don’t know. They might be bulky, not fit with other appliances, heat up in enclosed spaces, or sound like a damned vacuum. Time will tell. One good piece of news, the Xbox One will warn users when it’s over-heating… so hopefully no more widespread red ring of death. As of right now, pre-launch, there’s no mistake that the PlayStation 4 is a more powerful machine. Its more powerfulGPU and much more powerful RAM make it entirely more capable, day one, to run the biggest and brightest games on the market. It’s why we’re already seeing developers running their games at higher resolutions, with more FPS on the PlayStation 4 vs. the Xbox One. 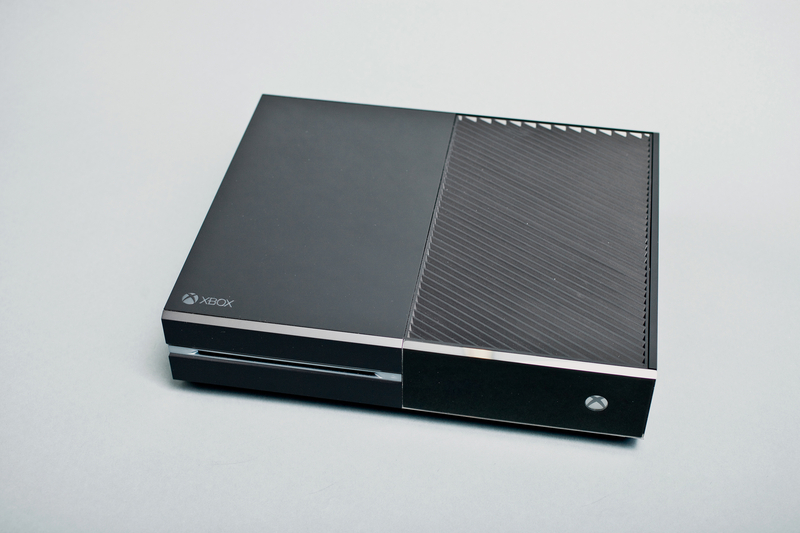 Down the road will the Xbox One catch up? Absolutely. It’s not just a case of developers figuring out how to use the Xbox One, but also of developers knowing the platforms limitations and not exceeding them despite the PlayStation 4’s advantage. It’s simply bad business to not create equal products. That is, unless one platform or the other sells a ton more than the other. In that case, well, who knows what developers will decide to do. Basically, there’s no simple way of calculating out how the 32MB of eSRAM adds to teh 63 GB/s memory bandwidth that the Xbox One has with standard memory. What the problem boils down to is that Sony’s current set-up is easy,erm, easier to get running at a 1080p, 60fps frame buffer. Microsoft’s architecture is also able to do that, but it’s not so straight forward. It’s going to take some work to get there for some developers.